Rationale. skeletal muscle fatigue has been defined as a loss of capacity to develop force in response to a load that is reversible by rest (12). In accordance with this definition, respiratory muscle fatigue can, potentially, be documented by measuring a decrease in volitional maximal respiratory pressures, with demonstration of recovery with rest. As a consequence, to detect fatigue of the inspiratory muscles, one could measure either maximal static inspiratory pressure, maximal transdia-phragmatic pressure, or maximal sniff pressure. Maximal inspiratory pressure. Methodology and equipment. Pi,max is measured at the mouth as described in Volitional Tests of Respiratory Muscle Strength in Section 2 of this statement. Advantages. The measurement of Pi,max is noninvasive. Fatigue of inspiratory muscles as a whole has been documented by a transient fall of Pi,max after breathing against external loads (12), maximal voluntary hyperpnea (33), marathon running (34, 35), or labor (36). Figure 2. Data obtained from human subjects generating a variety of levels of transdiaphragmatic pressure (Pdi/Pdi,max) with various inspiratory durations (Ti/Ttot) during breathing trials. Each point represents the results from a single breathing trial that was performed at a targeted Pdi/Pdi,max (x axis) and with a pattern of breathing that resulted in a predetermined inspiratory duration (Ti/Ttot isopleths of 1, 0.65, 0.5, and 0.25). 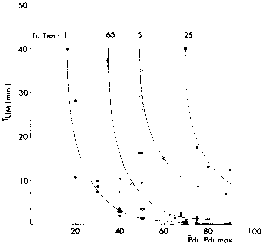 Subjects continued breathing trials until they were unable to sustain the targeted pressure level; the duration each trial could be sustained was defined as Tlim (shown on the y axis). This graph shows that the time breathing could be sustained (Tlim) was a function of both the pressure developed (Pdi/Pdi,max) and the inspira-tory duration (Ti/Ttot). For a given Ti/Ttot isopleth, Tlim was shorter when pressure generation was higher and, for a given pressure generation level, Tlim was shorter when inspiratory duration was increased. Reprinted by permission from Reference 29. Disadvantages. The major limitation of Pi,max as a test of fatigue is a lack of specificity, which is due to its total dependence on the subject's maximal volitional effort. Although Pi,max is reliable in highly motivated subjects, a maximal volitional effort cannot be obtained with certainty in patients. Another drawback of Pi,max is a potential lack of sensitivity for fatigue. Because a maximal static effort is associated with a high neuronal firing frequency, it reflects mainly high-frequency fatigue and may be a poor indicator of long-lasting low-frequency fatigue (see Maximal Static inspiratory and Expiratory Pressure in Section 2 of this Statement). Applications. Measurement of Pi,max can be used to detect inspiratory muscle fatigue in motivated volunteers, but has limited use in patients for this purpose because of difficulties in ensuring maximality of effort. Twitch interpolation techniques provide a potential means of solving this latter problem (see Twitch Occlusion in Section 2 and see Section 1 of this Statement). 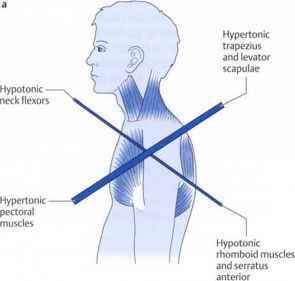 Maximal transdiaphragmatic pressure. Methodology. Pdi,max, measured with balloon-catheter systems, is described in Techniques for Pressure Measurements in Section 2 of this Statement). Advantages. This test measures specifically the strength of the diaphragm. Diaphragmatic fatigue has been documented by a transient fall in Pdi,max after breathing with diaphragm emphasis against external loads (6), voluntary hyperpnea (33), or high-intensity exercise (37). Disadvantages. The measurement of Pdi,max is invasive and, moreover, shares the same type of limitations as Pi,max for detecting fatigue. Because the physical maneuver that patients must carry out for reliable measurement of Pdi,max is even more complex than that required to measure the Pi,max, it cannot be recommended for assessing diaphragmatic fatigue in clinical settings. Applications. Pdi,max can be used to detect inspiratory muscle fatigue in motivated volunteers, but probably should not be used for this purpose in patients. Maximal sniff pressures. Methodology. Diaphragmatic strength can be assessed by maximal sniff Pdi (38), and global inspira-tory muscle strength by maximal sniff esophageal pressure (Pes) (39) or maximal sniff nasal inspiratory pressure (SNIP) (40, 41), as described in Sniff Tests in Section 2 of this Statement. Advantages. The sniff is a volitional maneuver that is easily performed by almost all subjects and patients. The SNIP is noninvasive and often yields higher pressures than the PI,max (39). Disadvantages. The potential usefulness of measuring a fall of maximal sniff pressures to detect inspiratory muscle fatigue in patients remains to be established. Applications. Although maximal sniff pressures are of established value for measuring inspiratory muscle strength, it is a test still under development for documenting fatigue.